Our financial coordinator will help you with your payment information. 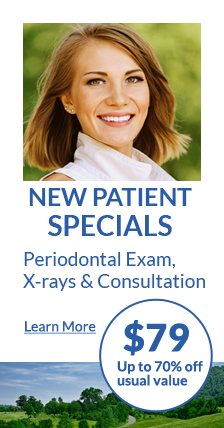 We understand that dental treatment is sometimes unexpected, and that many patients have limited, or no dental insurance. We are forthright about the cost of your treatment; and all fees, insurance benefits and co-pays will be outlined prior to you beginning treatment. There will no financial surprises! To help ensure that you are able to receive the dental care that you need, we offer many forms of payment. For payment in full on the day of treatment, we offer a 5% reduction in fees. We offer financing with 25% down and 6 months without interest. We now offer the option to make your payment online. Click here to pay. We also participate in CareCredit, a third-party source that allows you to select a monthly payment that you can afford. Care Credit offers 12 months of financing without incurring interest fees. Get the low monthly payment you need to say “Yes” to your treatment with Lending Club Patient Solutions.